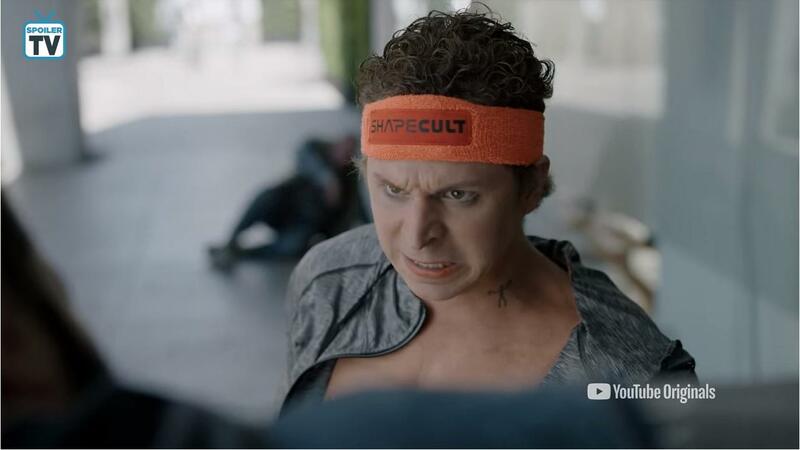 Weird City is a new anthology series from YouTube Originals being distributed on their YouTube Premium platform. Each episode explores the lives of citizens of a futuristic city, called Weird, where there is a very firm physical line between those who are considered financially above the line and below it. Each episode is its own compact little story. The series has an impressive list of very well-known guest-stars bringing to life the citizens of this complex metropolis. According to the press release “the all-star list of special appearances includes Sara Gilbert (The Conners, The Talk), Dylan O’Brien (Maze Runner Franchise, Teen Wolf), Ed O’Neill (Modern Family), Rosario Dawson (Luke Cage), Michael Cera (Arrested Development, Superbad), Laverne Cox (Orange Is The New Black), and LeVar Burton (Star Trek) along with Awkwafina (Crazy Rich Asians, Ocean’s Eight), Yvette Nicole Brown (Community), Auli'iCravalho (Moana), Trevor Jackson (Grown-ish, Superfly), Steven Yeun (The Walking Dead, Sorry To Bother You), Eugene Cordero (Kong: Skull Island), Gillian Jacobs (Community, Love), Hannah Simone (New Girl), Malcolm Barrett (Timeless, Preacher) and Mark Hamill (Star Wars)”. Just in time for Valentine’s Day, the first episode explores the dating world of the future where those born above the line are assigned a spouse at birth and those born below the line must do things the old-fashioned way and date. The story explores what it would be like if there was an app that could use science to find each person “The One That’s The One”. The episode follows Stu (Dylan O’Brien) and Burt (Ed O’Neil) as they both use the app to search for love. It is a very interesting episode with surprising twists and turns. For an episode that clocks in at just shy of 29 minutes, a lot of quality story is told. Very few people have likely ever thought that Dylan O’Brien and Ed O’Neil should work together, but after this, the better question is what took the industry so long to put these two together in a project? If this first episode is any indication of the tone of this anthology series then the rest of the episodes should be very interesting and enjoyable to watch. 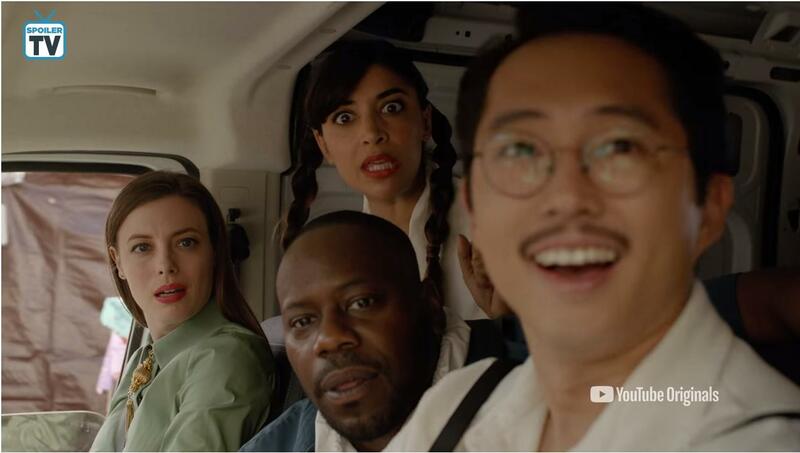 The only thing that would make this first episode better was if it was longer because it’s hard to let go of these characters. YouTube Originals turned out some top-notch programming in 2018 and they seem to be continuing on with that trend into 2019. This is a unique anthology series all taking place in the same city just exploring different aspects of life within that city. With such a powerhouse cast and such a strong concept this is a series that has potential to be a great success. 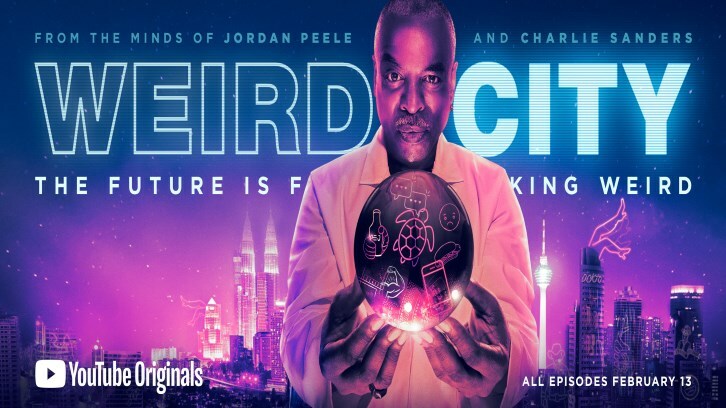 Continuing on with the trend of YouTube Originals, Weird City is inventive, imaginative, and an overall enjoyable story. 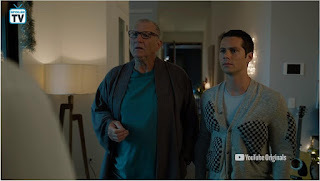 Be sure to check out Weird City on YouTube Premium when the entire first season premieres on Wednesday, February 13th.